National Grape Registry contains information about varieties of wine, juice, and table grapes, raisins, and grape rootstocks available in the United States. eViticulture.org, the national online viticulture resource containing the latest science-based information for viticulturists. The Vineyard Doctor. The Vineyard Doctor TM is an interactive tool to assist with diagnosis of grapevine problems. 2007. Grape Production Manual. Rosenstock, T. University of California, Davis. Texas Winegrape Network, a comprehensive information resource for grape growers in Texas. TexasET contains weather information, current and average evapotranspiration data, and irrigation watering recommendations. Vineyards and Grape Varieties Grown in Texas (Registry). Permits vineyards and growers in Texas to DIRECTLY share grape availability information with potential buyers. Current. North Carolina Winegrape Grower's Guide. Poling, B. Editor. Wolf, T.K., Allen, A., Johnson, A., and Gosper, J. North Carolina State University. Current. Small Fruit and Grape Extension Publications. Michigan State University. Current. Cost & Return Studies. Agricultural & Resource Economics, University of California, Davis. 2011. Cost of Establishment and Production of Vinifera Grapes in the Finger Lakes Region of New York. White, G.B., Cornell University. 2010. The Cost of Growing Wine Grapes in Western Colorado. Sharp, R. and Caspari, H. Colorado State University. 2008. Starting a Vineyard in Texas - A Guide for Prospective Growers 2008. Kamas, J., Hellman, E., Adams, P., Burns, T., Pontasch, F., and Westover, F. Texas Agrilife Extension. 2003. Growing Grapes in Missouri. Byers, P., Editor. Avery, J., Byers, P., Howard, S., Kaps, M., Kovacs, L., Moore, J., Odneal, M., Qiu, W., Saenz, J., Teghtmeyer, S., Townsend, H., and Waldstein, D. Missouri State University. 2001. Business Planning and Economics of Midwestern Grape Production. Bordelon, B. Purdue University. 1996. Mid-Atlantic Winegrape Grower's Guide. Wolf, T.K. and Poling, E.B. North Carolina State University. Current. The Vineyard Doctor. Grape Community of Practice. Texas AgriLife Extension Service, Texas A&M System. Current. Pests, Diseases, Disorders and Nutrition Pages. Washington State University. Viticulture & Enology Research & Extension. 2012. Pest Management Guide for Wine Grapes in Oregon. Skinkis, P., Pscheidt, J., Walton, V., Peachey, E., Zasada, I., Martin, B., and Sanchez, D. Oregon State University Extension Service. Current. Climate Averages. Oregon State University, PRISM Climate Group. Current. Soil Survey Geographic (SSURGO) Database. Soil Survey Staff. United States Department of Agriculture, Natural Resources Conservation Service. Current. General Soil Map (STATSGO2) Database. Soil Survey Staff. United States Department of Agriculture, Natural Resources Conservation Service. Current. Web Soil Survey. Soil Survey Staff. United States Department of Agriculture, Natural Resources Conservation Service. Current. National Elevation Dataset. U.S. Geological Survey (USGS), EROS Data Center. Farm certifications confirm characteristics of winegrape production. Most certifications are verified by an independent third party. 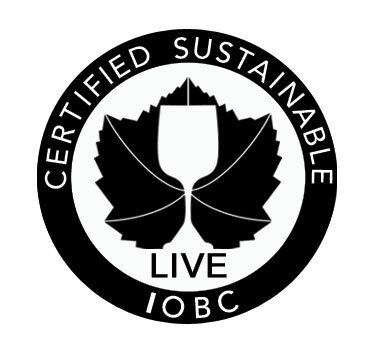 Growers participate in certification programs for several reasons including: Many wine customers and wineries demand production practices meet certain standards, certifications can increase winegrape prices, and certifications help differentiate a vineyard's grapes.